Who says your little ones can’t be trendy? This season, gorgeous childrenswear label Bébé by minihaha has hit all the key points us oldies have been coveting. 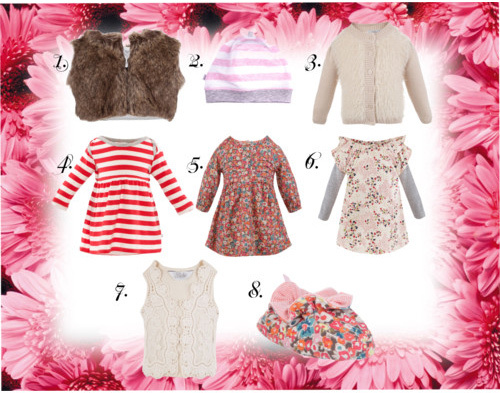 For the girls, florals, fur and Lace are the way to go. Daytime dresses printed with gorgeous gardens look sweet on their own or spunky with a little animal adornment. 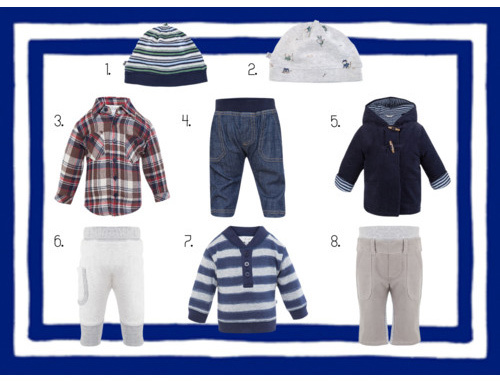 Bébé boys also get a little toughening up, with functional yet funky sweats given a preppy edge with nautical striped jumpers and Paddington Bear coats. A label that puts the cute in cutie pie, this collection will make your little darling the coolest on the block. Is there anything better than a well cut t-shirt on a man? 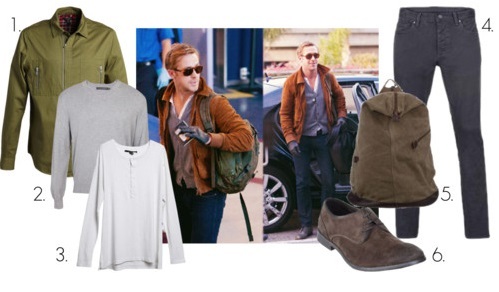 Particularly when that man has the body of an Adonis-Emma Stone was on the money when she said Ryan looked like he’d been photoshopped! 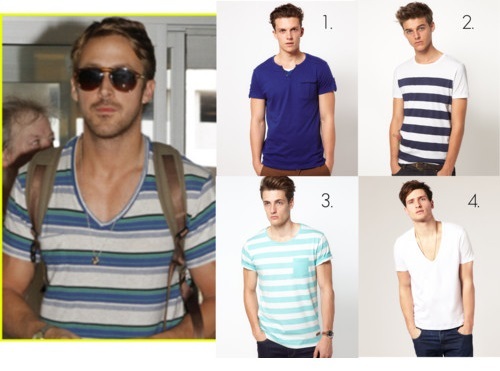 Guys, do yourself a favour and invest in a classic tee-a bold stripe adds interest without leaving you feeling ‘overdone’. If you’re feeling a little more adventurous, why not opt for a deep vee and show a little skin. Warning-not for the faint of heart. And if you feel the need to add a bit of bling, make sure it’s a fine chain-chunky gold is never a good look. This look is a little more Gatsby-esque, and calls for lounging in the garden at an afternoon soiree. Should you feel the need to amp up the outfit for a dressier feel; a striped tie will do just the thing, and leave you looking Eva Mendes-worthy all night long. Yes, suits can lean towards the exxier side of the scale, but it’s a piece you will have for years! 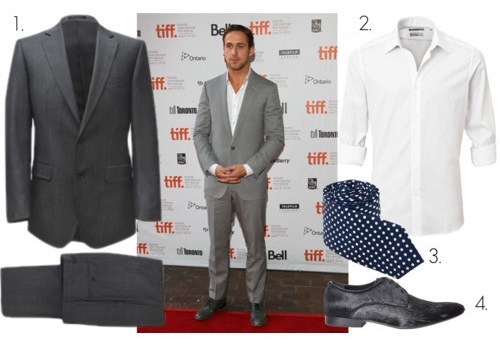 Never underestimate the appeal of a well cut suit-Gosling doesn’t.